Laser vision correction is a revolutionary procedure that reduces dependancy on glasses or contact lenses. 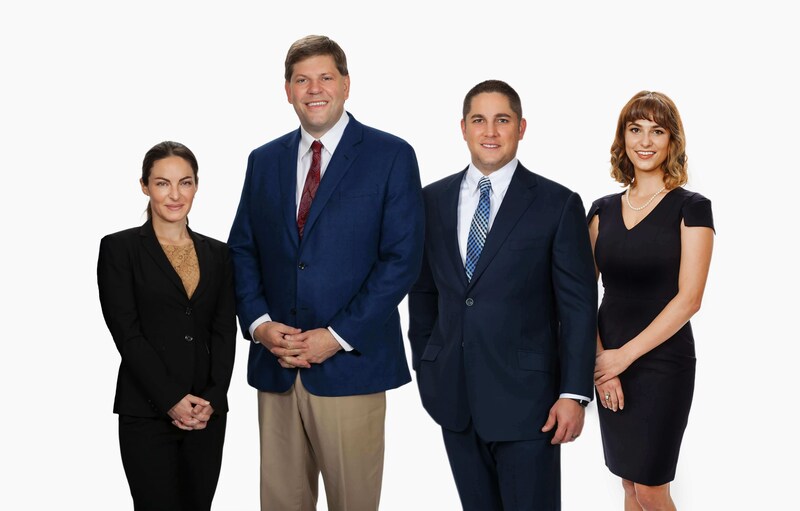 Over the course of the past few years, Vold Vision is one of only a select centers in the country to perform a wide array of new glaucoma procedures. If you have been living with cataracts, imagine life once again with clear, crisp vision and bright, vibrant colors after treatment at Vold Vision. Vold Vision offers the revolutionary Descemet’s Stripping Endothelial Keratoplasty (DSEK) sutureless technique for cornea transplant surgery. Vold Vision performs the most advanced diagnostic and medical and laser therapy available for macular degeneration and diabetic retinopathy. Get full eye care for all members of your family from visual development, vision correction, safety, and care after injuries at Vold Vision. Vold Vision is a full service ophthalmic practice with an Optical Shop to help patients find the perfect pair of glasses and contact lenses. Vold Vision is committed to advancing patient care through quality medical research, FDA clinical trials, and training at our Research Center. On behalf of our entire team, thank you for visiting our site. We want our patients to feel completely at ease during their experience with us. Vold Vision is a comprehensive eye care facility with the most advanced medical, laser and surgical care available. We are thankful to welcome patients from 39 states and 8 countries who have traveled to our facility for care. As a FDA clinical research study facility, our team is invested in pioneering new procedures for optical patients and on the front lines pushing for best in class care. We are here to serve our patients, their families and our community to the absolute best of our ability. As the old adage goes, nobody cares how much you know, until they know how much you care. Again, thank you for the opportunity to serve you. From the moment you walk into our clinic, we hope you feel welcomed and at ease. One of the first things you will notice is the brightly painted mural that stretches across our lobby, the artwork of one of our patients. Throughout our clinic, bright detailed photography aligns our walls. 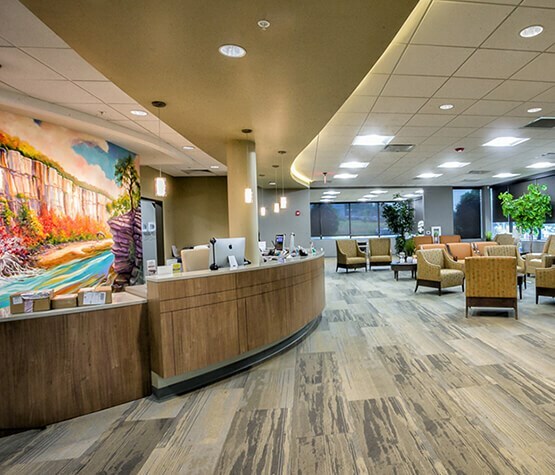 Dr. Vold wanted our patients returning from surgery with new and improved vision to be surrounded with color and detailed imagery they could enjoy. 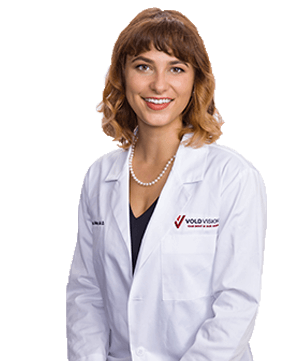 At Vold Vision, our team defines organizational success by the quality of patient personal experience and care. We will give our best to serve our mission and, in doing so, will provide for your mutual happiness and well-being. In addition, we also are committed to bringing you the most innovative and advanced ophthalmic care available anywhere in the world. 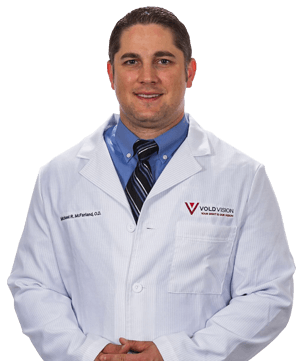 Superior surgical and medical outcomes are viewed as mandatory at Vold Vision. As influential leaders in our field, our doctors can provide you advanced technologies not provided by most physicians. We want our ultimate legacy to be one that reflects a commitment to enhancing the lives of people, investing in our community and advancing our profession. “Your Sight is Our Vision” is much more than a catch phrase to us; it reflects the heart of our entire organization. We are deeply grateful to you for helping us make our vision become reality. Tour our expansive, outstanding facility and see why Vold is the premiere vision center. Read about the experiences and successful results of current and former Vold Vision patients. Learn about the innovative optical services and surgeries are offered at Vold Vision. Learn about our on-site Research Center that makes Vold Vision a pioneer in treatment. At Vold Vision, we are committed to bringing our patients the most innovative and advanced ophthalmic care available anywhere in the world. 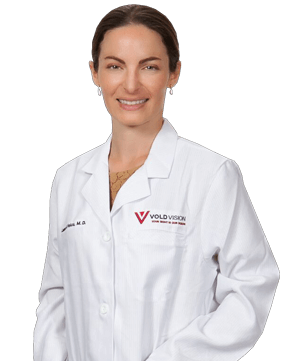 Superior surgical and medical outcomes are viewed as mandatory at Vold Vision. There’s no ‘one size fits all’ attitude here, and we’ve invested in technology that lets us personalize a procedure that will be just right for your eyes. Whatever your eye care need, we are the ones to see in the Northwest Arkansas area. In order to provide the best care possible, we pride ourselves in having the best doctors and the best technology available anywhere in the world. We treat each and everyone of our patients as if they were members of our family as we are driven by our passion to care for people. 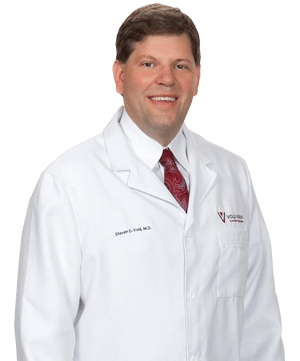 You’ll find confidence in our advanced technology and our fellowship-trained surgeon’s dedication to providing unsurpassed results for our patients. In addition to our results, it is our commitment to provide outstanding patient care with the Vold Vision difference – we see people, not just patients.